Kim graduated with a marketing degree before launching her career in insurance. Starting out at Liberty Mutual, she eventually found her home at Sentry Insurance where she became an integral part of the sales/management team and a highly valued mentor within the company. When Sentry restructured its strategy for selling personal lines policies in 2012, they made an unprecedented decision to sell Kim her personal lines book, acknowledging the strong relationships she built while at Sentry with both management and clients. Shortly after, Kim joined Robertson Ryan, expanding her insurance solutions and services offered to her ever-growing client base, which includes commercial and personal insurance products, long term care and one of her favorite offers, life and disability. Kim’s family has always been first and foremost, and she is proud to have been very hands-on with all of her kid’s school and after school activities. Her dedication followed through even to the college level where she proudly sat on Drake University parent board. When Destination Imagination® was proposed in her schools, Kim jumped in with both feet and was able to successfully launch/manage/train parents in her school and eventually the entire district on how to use this fun, creative, hands-on system of learning for the schools. 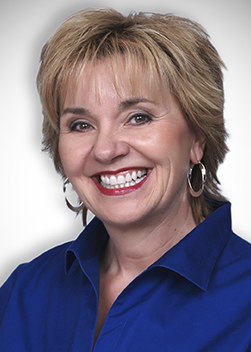 A firm believer in education, Kim continually looks for ways to share her knowledge and life lessons with her kids and her clients, and just received her Certified Insurance Counselor (CIC) designation. A daily gym enthusiast, Kim also prides herself in her fly fishing skills, catching the 5th largest fish in 2005 at Henry’s Fork in Idaho! Kim is also an avid golfer and member of EWGA (Executive Women’s Golf Association). She loves to travel to far off destinations, exploring cities and countries across the globe and admits that the ocean “feeds her soul”. She is an accomplished author in an anthology, and is currently working on future publications.